Feeling depressed…….Do you drink this? New research recently released by the National Institutes of Health found a link between hugely popular ‘diet’ soft drink beverages and depression. Those who drank more than four servings of diet soft drinks per day had a 30 percent higher risk ofdeveloping depression. So they say, but according to research now there is evidence to prove that, “the risk appeared to be greater for people who drank diet [rather] than regular soft drink.” The research blames artificial sweeteners. This isn’t the first time soft drink, diet soft drink, and artificial sweeteners have been studied. Dr. H.J. Roberts has labeled the term “aspartame disease.”2 He delivered a report that discussed over 1,000 negative reactions to the artificial sweetener. Some symptoms include headaches, nausea, abdominal pain, memory loss, fatigue, multiple sclerosis, and even lupus. And of course depression was listed. A study out of Ohio studied the effects of aspartame and depression.3 Forty patients enrolled in the study. Researchers gave subjects 30 mg of the sweetener daily for seven days. The Institutional Review Board halted the project after just 13 patients completed the study. The aspartame caused such severe side effects the review board considered it unsafe to continue. Don’t let the soft drink industry fool you either by claiming their beverage now contains Splenda, “a healthier alternative.” Splenda has its own issues. It contains a compound known as sucralose which has been strongly linked to similar side effects including pH imbalances and digestive disorders. You have to wonder…is it really worth the risk? There are far better drink choices. And if you are one of the many that grab the caffeinated beverage for a pick-me-up, opt for coffee, but make sure you don’t add any artificial sweeteners to your cup of coffee! The best ‘alternative’ of all is just plain water. If you’re feeling sluggish, you’ll be surprised how water can boost your energy. No calories, no sugar, no neurotoxins. Diet or not I recommend you avoid all soft drink to improve your health! Avocados provide the healthy kind of fat that your body needs. Like olive oil, avocadoes boost levels of HDL (the “good” cholesterol). HDL cholesterol can help protect against the damage caused by free radicals. This type of cholesterol also helps regulate triglyceride levels, preventing diabetes. A study published early this year in the Canadian Medical Association Journal found that a vegetarian diet, which includes HDL fats, can reduce levels of LDL (the “bad” cholesterol) as effectively as statin drugs. Avocados are an excellent source of carotenoids, an antioxidant usually known to be found in red/orange vegetables and shown to assist eye health. Avocados contain a diverse range of carotenoids including beta-carotene, alpha-carotene and lutein as well as the less common ones neoxanthin, zeaxanthin, chrysanthemaxanthin, neochrome, beta-cryptoxanthin and violaxanthin. When you consume foods rich in carotenoids you are delivering a quality Vitamin A to your body which is known to strongly protect eye health. 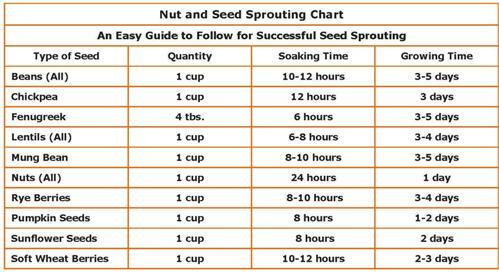 Carotenoids have also been shown to enhance the immune system and promote healthy function of the reproductive system. The combined effect of the deluxe package of nutrients contained in avocadoes offers powerful anti-inflammatory benefits. Avocadoes’ unique combination of Vitamins C and E, carotenoids, selenium, zinc, phyto-sterols and omega-3 fatty acids helps guard against inflammation. 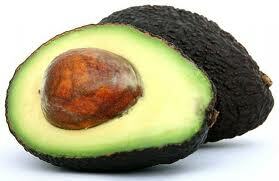 This means avocadoes can help prevent against both osteoarthritis and rheumatoid arthritis. The fat content, which causes some uninformed health “experts” to deem avocadoes as unhealthy, actually provides protection against heart diseases. Studies have shown that oleic acid improves cardiovascular health. Oleic acid is the primary fatty acid in avocadoes. Many people now take supplements in order to consume more omega-3 fatty acids to lower their risk of heart disease. Avocadoes are rich in omega-3, delivering 160 milligrams per cup of alpha-linolenic acid. To get the most nutritional value from avocadoes, avoid those which have become over-ripe. You can identify these at the store because they will have dents and feel overly soft when you hold them. A ripe avocado should have no dents in its skin and will feel slightly soft when squeezed. You can also buy unripe avocadoes, which feel very hard when gripped, and allow them to ripen at home. To enhance the ripening process leave on the bench near some bananas as the gas released from the bananas promotes ripening. The greener portion of the avocado closest to the skin is the most dense in nutrients, so be sure to scrape the skin clean before discarding it. Researchers from Harvard University have discovered that a compound found in tomatoes may reduce your risk of heart disease by up to 50 percent. ‘Lycopene’ is a naturally occurring phytochemical that gives some fruits and vegetables their red colour. Tomatoes are the richest source, but it is also found in watermelon, capsicum, papaya, pink grapefruit and guava. Lycopene is a potent antioxidant and natural anti-inflammatory. It has been shown to help prevent hardening of the arteries, heart attacks and strokes. The lycopene content within a food is surprisingly more available when the food is cooked. The benefits of lycopene also go way beyond the heart. It has been shown to help cut the risk of lung, prostate, ovarian, pancreatic, and other cancers. So make sure your adding lycopene rich foods into your diet to keep you heart healthy and free of disease. 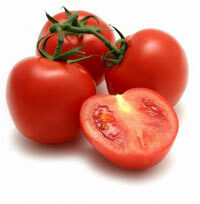 Tomatoes can be added to salads, omelettes, casseroles, soups, stir-fry’s, curries and just about any dish! Research from the University of Missouri has confirmed what we have been saying all along and just published their findings in the American Journal of Clinical Nutrition. The study looked at protein content of breakfast and compared subjects eating 13g, a high 35g or eating nothing at all. The two breakfasts contained the same amount of calories, fat, fibre and sugar with the amount of protein being the only difference. To no surprise results showed that both groups who ate breakfast experienced less hunger throughout the day. However the people who ate the high protein meal showed greatest benefits with less food cravings and feeling fuller. 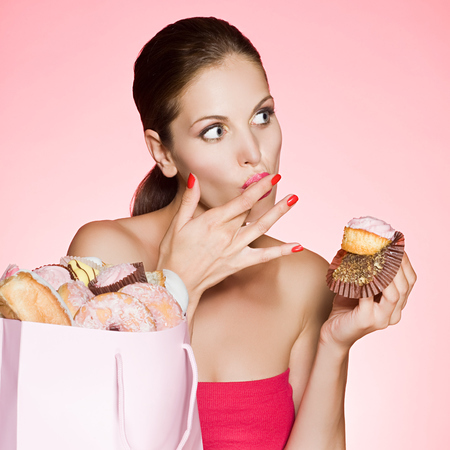 When they looked at the brain activity the response for triggering cravings was also significantly reduced. Even more…the high protein breakfast eaters cut back on high fat and high sugar evening snacks and were able to control their eating habits the entire day AND into the night. This is all because of the protein they ate in the morning! Simple, nutritious and effective. This highlights that eating a protein –rich breakfast is one potential strategy to prevent over eating and improve diet quality by replacing unhealthy snacks with high quality breakfast foods. If you’re not a breakfast eater, there’s good news. It only takes a few days for the body to adjust, start off slowly eating something small or making a smoothie, then slowly add as necessary. Make a smoothie and add pure protein powder such as pea protein, whey protein, rice protein or hemp protein. Ensure you don’t get the ones with nasty sweeteners, flavours, additives and toxic concoctions. The pure ones are available at most health food stores. Regardless if you’re trying to lose weight or not, eating some form of protein at breakfast is important. It increases energy, stabilises blood sugar and prevents unhealthy snacking and over eating. In the world of healthy vegetables broccoli is known to be one of the most nutritious foods. Broccoli contains a rich source of biochemicals, vitamins and minerals that have been strongly linked to many health benefits such as cancer fighting properties, diabetes protection and antioxidant properties. Just to name a few, here are some health benefits associated with this nutrient packed vegetable. Broccoli is rich in folate, the B vitamin that is essential to prevent birth defects. Neural tube defects such as spina bifida have been linked to folic acid deficiency in pregnancy. 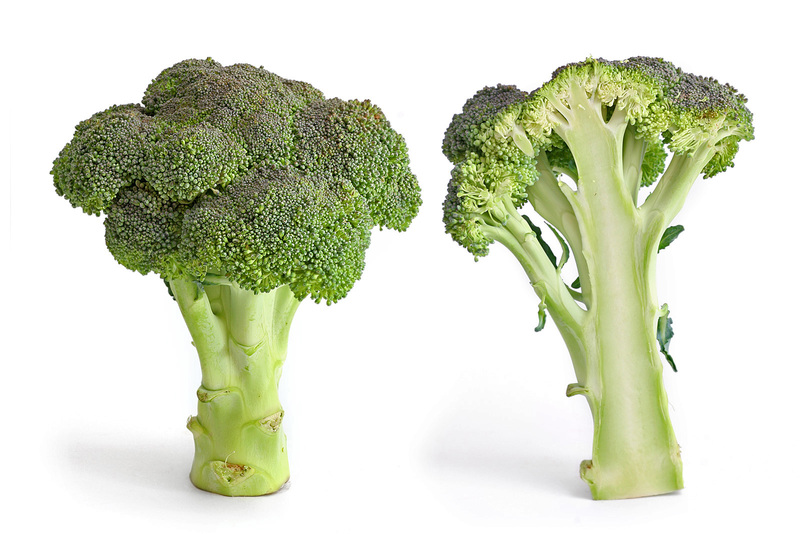 A single cup of raw broccoli provides more than 50mg of folate (the plant form of folic acid). Broccoli is rich in vitamin C as well as the powerful phytochemical carotenoid antioxidants lutein and zeaxanthin. High levels of these two carotenoids are found in the lens and retina of the eye. Studies have shown that people who eat broccoli more than twice per week had a 23% lower risk of cataracts when compared to those who ate broccoli less that once per month. Lutein, zeaxanthin and vitamin C also help to protect the eyes from free radical damage from ultraviolet lights. Broccoli is a good source of fibre, which helps to lower cholesterol, balance blood sugar levels and facilitates digestion. Broccoli is a rich source of the flavonoid ‘kaempferol’, which has been strongly linked to battle allergies and inflammation. Broccoli contains several compounds called isothiocyanates, including sulforaphane and indole-3-carbinol (I3C), which have been strongly linked as being anti-cancer agents in recent years. 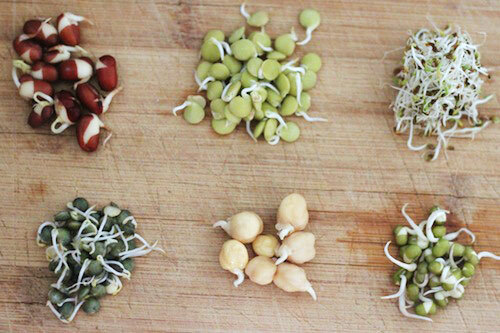 Studies have shown these substances may act as anti-oxidants and may boost detoxifying enzymes in the body. Some studies have also suggested they may balance the levels of estrogen in the body, which may reduce breast cancer risk. Broccoli is an excellent source of plant protein. Its protein content is 34% of its dry matter, one cup of chopped broccoli can provide you with about 4 grams of highly absorbable protein. The carotenoid ‘lutein’ found in broccoli helps prevent heart disease by preventing the thickening of arteries. Broccoli also supplies a significant source of vitamin K, which is important for blood clotting and also contributes to bone health. In addition broccoli is one of the few vegetables, along with spinach that are relatively high in coenzyme Q10 , a fat soluble vitamin that is a major contributor to the production of energy in our bodies. One cup of broccoli contains approximately 41mg of calcium and 79mg vitamin C. While this is not a massive amount, the vitamin C strongly enhances the absorption of the calcium. Calcium is known to strengthen and promote bone growth and health, and therefore also assists in the prevention of osteoporosis. Want to add more broccoli to your diet? Try eating it raw in salads, smoothies, or juiced studies have proven that the nutrient levels are alot higher when eaten raw. Alternatively include it in stir fries, omelettes or any dish but try avoid overcooking it to retain as many nutrients as possible. The World Cancer Research Fund recently completed a detailed review of 7,000 clinical studies covering links between diet and cancer. Upon conclusion it is evident that processed meats can be dangerous for human consumption and are strongly linked to an increase risk of bowel cancer. Processed meats include bacon, sausage, hot dogs, sandwich meat, packaged ham, pepperoni, salami and nearly all meat found in prepared frozen meals. Processed meats are usually manufactured with a carcinogenic (linked to promote and cause cancer) ingredient known as sodium nitrate. Sodium nitrate is primarily used as a colour fixer by meat companies to make the packaged meats look bright red and fresh. Monosodium glutamate is also added on a regular basis to enhance the savoury flavour. Sodium Nitrite has been strongly linked to the formation of cancer-causing nitrasamines in the human body, leading to a sharp increase in the risk of cancer for those consuming them. A 2005 Hawaii University study found that eating processed meats increased the risk of pancreatic cancer by 67%, whilst another study found that it increased the risk of colorectal cancer by 50%. These are scary numbers for those consuming processed meats on a regular basis. The more often your body is exposed to these nitrosamines, the higher your risk of cancer becomes. Unfortunately nowadays the food industry interests now dominate the actions of the government regulators. The USDA for example tried to ban sodium nitrite in the late 1970’s but were overridden by the meat industry insisting the chemical was ‘safe’. Today the food and agriculture corporations hold tremendous influence over the food industry and as a result consumers have little protection from dangerous chemicals intentionally added to foods, medicines and personal care products. 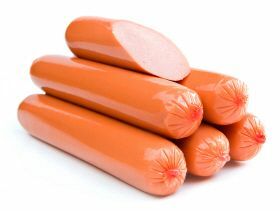 Please see original article: http://institutefornaturalhealing.com/2012/04/processed-meats-declared-too-dangerous-for-human-consumption/. Chop dates in food processor, add coconut oil, coconut crunch, cocao and pinch salt. Blend. Press mix into a lined slice pan for block or use chocolate mold or an ice tray for individual chocolates. Ways to mix it up! Try adding acai berries, maqui, goji berries, dried figs, ginger, peppermint oil or use carob powder instead of raw cocao. Chewing Gum: Is it as toxic as a cigarette? Many people chew gum on a daily basis, some consuming more than one stick per day. Let’s take a moment and analyse the ingredients of chewing gum and examine what we are exposing our bodies to on a daily basis. Have you ever read the ingredients label of a pack of gum? If so, do you know what each of the substances are, and how they act in the body? Common ingredients found in chewing gum include: sorbitol, mannitol, maltitol, gum base, glycerol, natural and artificial flavours, hydrogenated coconut oil and starch, aspartame, soy lecithin, colours (titanium dioxide, blue 2 lake, red 40), BHT, malic acid and citric acid. Imagine if someone came up to you and said, ‘Would you like to chew on some tire rubber and plastic?’ You would probably say no and want to report this person to a doctor or psychologist. “Gum base” is a blend of elastomers, plasticizers, fillers, and resin. Some of the other ingredients that go into this mix are polyvinyl acetate, also known as ‘carpenter glue’ or ‘white glue’. Paraffin wax is another ingredient that is a byproduct of refined petroleum. Is chewing plastic, petroleum and rubber safe? As you chew, these substances leach into the mouth and body. There is wide spread controversy around this substance. It is one of the most toxic substances that we can consume. The political corruption and money trail behind this is miles long. It is known that aspartame has been linked to all of the major brain disorders including Alzheimer’s and ALS. It has also been considered a contributing factor towards diseases such as diabetes, multiple sclerosis, asthma, obesity and many others. It is found in many diet products as a ‘zero calorie sweetener’ but in the long run has been found to contribute to obesity due to its high acidity. Aspartame is also an excytotoxin, meaning it over excites neurons in the brain until they burn out and die. Hydrogenation is a chemical process that adds hydrogen atoms to an unsaturated oil in order to make it ‘saturated’. This is done to increase the shelf life of a product, turning it into more of a ‘plastic like’ substance. This process also creates Trans fats, which are known to have very harmful effects on the body. Titanium dioxide is a nanoparticle that is very common in sunscreen and many other products including nutritional supplements. New evidence suggests that this substance is carcinogenic, meaning leading to cancer. We as humans are drawn to things by their colour and artificial food colourings such as red 40 are made from petroleum and are dangerous to our health. Many people also have extreme allergies to these products and they have been linked to ADD and other disorders and diseases. These sugar alcohols are all originally made from sugar, but have been altered so much that they are considered ‘sugar free’. When nature is altered and changed to such an extreme, more often than not the results are somewhat unhealthy. It has been suggested that these products are far worse than sugar itself and they can stimulate weight gain and other side effects such as abdominal pain and diarrhea. Is alcohol sugar better than sugar? It seems that neither are good substances and can have harmful effects on the body. Whenever you chew gum your brain is tricked into thinking that you are eating food. The brain signals to your stomach, pancreas and other vital organs involved in digestion to prepare for this ‘food’. Your salivary glands and pancreas then begin to release enzymes, which are necessary for the digestion and absorption of nutrients from food. Constant release of these enzymes overtime will deplete not only the number of enzymes, but can also slow their process over time. This can then lead to poor absorption and inability for the body to break down foods and their nutrients, and as a result may lead to disease due to an inability for the body to rebuild and thrive. A great alternative is to carry around a small bottle of food grade peppermint oil for when you would like fresh breath. Just put one drop in your mouth and you will achieve the same fresh breath effect that gum has. It always good to look at your diet also, what is causing the bad breath? Often bad breath is a sign that the body is highly acidic. Unfortunately, nothing in chewing gum is natural and it is a chemical goop that in no way contributes to good health. The five ingredients listed above in one way or another contribute to disease and poor health. Is chewing gum a risk that you want to expose yourself to on a daily basis for the sake of fresh breath? Perhaps chewing gum may be identified as a contributor to disease much like cigarettes in the future. The time has finally come that I have decided to create a blog and share my knowledge and passion for health and nutiriton with the world. So who am I …? I have been passionate about health and nutrition all my life. Growing up with my parents both being strong health advocates and owning a health food store I now realise that I have been extremely privileged throughout my upbringing. I have always been health conscious however since leaving school in 2007 my passion has grown and I have found the direction I want to pursue. 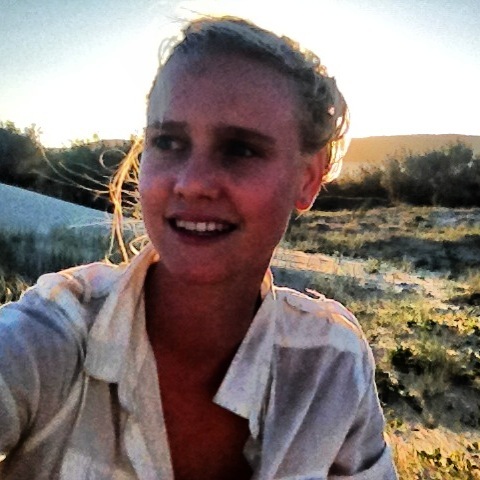 I am currently in my final year of Nutrition and Dietetics at the University of the Sunshine Coast in Qld, Australia. The course has been a wild experience and I have learnt a lot of both what to do and what not to. Coming from my upbringing I have always taken the alternative health approach being as organic, natural and health conscious as possible. So, undertaking a mainstream course has been quite a challenge! I have become quite good at voicing my opinion and questioning everything. At other times I have learnt to be very open minded and keep my mouth closed at appropriate times. Being in my final year is extremely exciting as I can’t wait to be out there putting a new edge on dietetics and going beyond the books.